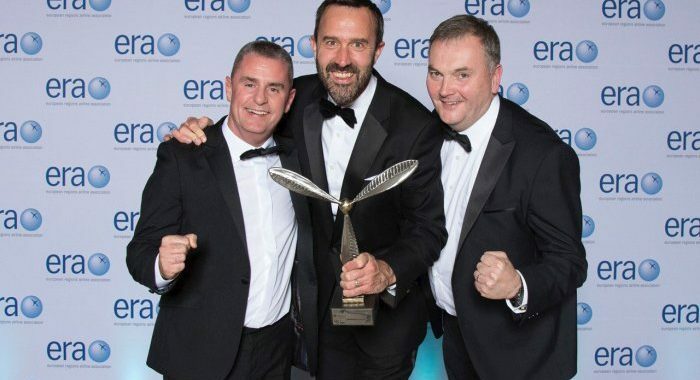 Thursday 11th October 2018: Shannon Airport, a Shannon Group company, has received major recognition overnight from the European airline community after being chosen as this year’s winner of the Airport of the Year Award from the European Regions Airline Association (ERA). This is the Airport’s third win, having secured the prestigious title in 2014 and 2015. The award was announced last night at a gala event at the ERA’s annual General Assembly, held this year in Edinburgh. The Airport of the Year Award is intended to recognise airports which have had a positive impact on intra-European air transport operations and which recognise the importance of airline-airport partnerships. Previous winners of the award include London City, Budapest and Munich Airports. Welcoming the Award, Andrew Murphy, Managing Director, Shannon Airport said: “Shannon Airport is delighted to have received this prestigious European accolade from the European Regions Airline Association (ERA). Our runway upgrade project, which was self-funded with the assistance of a commercial loan from ISIF, The Ireland Strategic Investment Fund, was completed last year ahead of time and under budget. It is part of an overall €40 million investment programme at Shannon Airport on a range of customer-focused projects. For example we reinvented our Shannon Duty-Free shop, the world’s first Duty Free. We added new dining facilities and upgraded our boarding gate area, transit, and executive lounges. The Award is judged by a panel of leading experts drawn from the aviation industry, including past and present CEOs of European airlines and airport consultants.